This bible will become out of print when inventory is exhausted. ISBN: 9781609262099; CEB Large Print Thinline Flex Cover will serve as the replacement. Estimated delivery is 09/11/2017. 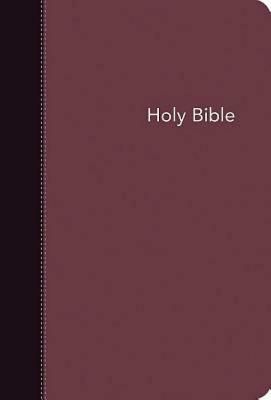 This new addition to the Large Print line of Common English Bibles is in the durable Image Flex cover binding, making it perfect for classroom settings, as outreach editions, or a more affordable option for individual study. The cover is burgundy with a black spine. The generous 12-point type makes reading easy for an older audience or those with vision impairments. Also available in other bindings.